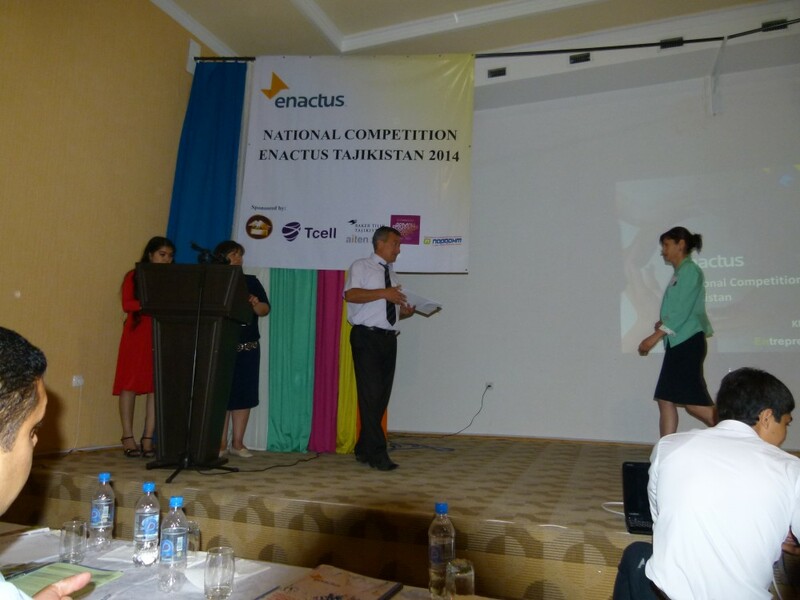 After a nearly month-long break in the national competition schedule, the Enactus Tajikistan National Competition kicked off the next wave of events on 21-22 May at Hotel and Resort “Bahoriston” in Khujand. Over 170 people came together to learn about the entrepreneurial initiatives of the four competing teams and celebrate their accomplishments this year. The judging panel, made up of 18 business executives, had the difficult task of evaluating the projects, finally selecting the Institute of Economy and Trade of Tajik State University of Commerce as the 2014 Enactus Tajikistan National Champion, who now has the honor of representing their country at the Enactus World Cup in Beijing, China this October. One of the many projects that impressed the judges was Handicraft, a business training program that helped local craftsmen realize their dream of continuing the work of their ancestors while creating a sustainable, profitable business. Training topics included basic market economy and business concepts, ideas for expanding product offerings, and information on developing a website and catalog to increase awareness and sales. They also connected the participants with 12 trade agents who can help expand the individual businesses. Overall, 130 people benefited from the initiative, and the team plans to build on the project next year with a craft exhibition. 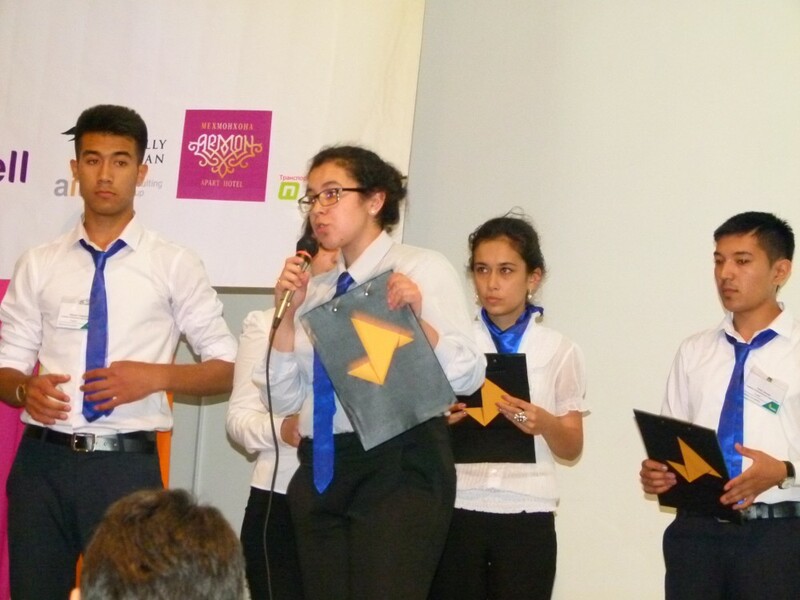 The competition, sponsored by the National Bank of Republic of Tajikistan, TCELL, Aiten Consulting Group, Hotel Ormon, and transport company Pardoht, provided both the participating students and executives with the unique opportunity to interact directly during the event. At the conclusion of the event, teams had the chance to directly share their project ideas with the executives, receiving invaluable advice and guidance from them for the coming year. Local media, including the television and radio stations CM-1 and Aziya, and the Tirozi Jahon newspaper, covered the inspiring event, providing great exposure for the Enactus Tajikistan program and the work of the participating teams. Our seventh competition, the Enactus Tajikistan event is yet another example of the power we all have to make a difference, whether you are a student working in your community or a business executive sharing your experiences and offering advice. Big or small, our Enactus programs are improving lives and increasing the standard of living of people all around the world.